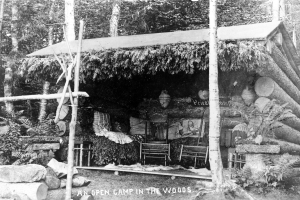 Description: An Open Camp In The Woods, circa 1900. 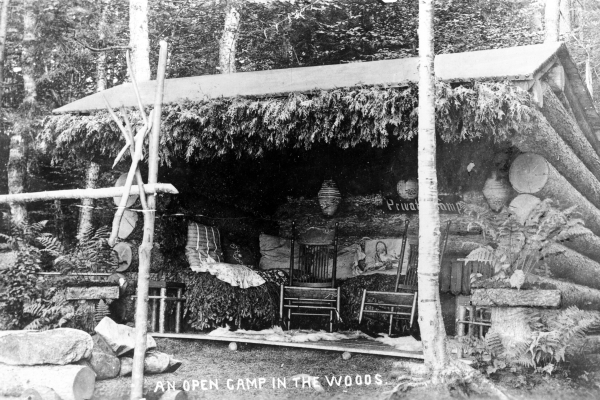 Photograph showing an elaborate open log shelter on the grounds of the Hotel Glennmore, Big Moose Lake, New York. 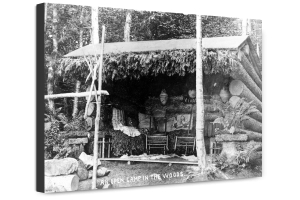 In the Adirondack or "rustic" style, it features rocking chairs, cushions, animal skin rugs, Japanese paper lanterns, potted ferns, and a small sign "Private Camp."